Among the blizzard of news bits from Apple’s WWDC, a much-anticipated feature has returned to the beta for iOS 12: a mode for keeping law enforcement snoopers out of your phone. The feature has come and gone in the past, but it’s looking more real and better than ever this time around. Still, I’ll believe it when it’s actually live. “USB Restricted Mode” has been spotted in previous iOS betas, but has never made it to a public release. It’s one of the most hotly anticipated features for security experts because it promises to be a major obstacle for iPhone hacking tools—like GrayKey and Cellebrite—that law enforcement has been using to break into encrypted phones. 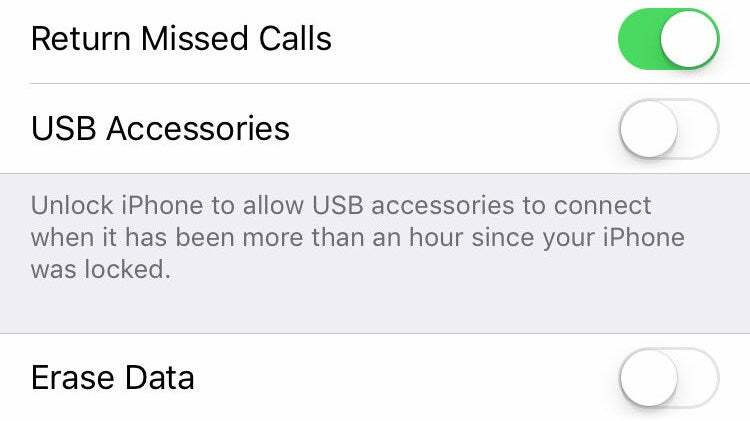 With the announcement of iOS 12, developers are getting their first look at the latest iteration of Apple’s mobile OS, and we now have a screenshot of the settings menu where you can turn USB Restricted Mode on or off. The mode is designed to disable USB connectivity on the iPhone after it goes a certain amount of time without being unlocked. In previous iterations, the time limit was seven days, but it now appears that it will only be an hour. The security feature is also mentioned in the release notes for iOS 12 beta. In addition to iTunes-style backups, the lockdown record could be used for pulling media files (pictures and videos), list installed apps, and access general information about the device. Apple has already introduced a seven-day time limit on how long lockdown records last, but with USB Restricted Mode it’ll be all but impossible to access them after an hour without using the numerical passcode for the phone. Yes, enabling this mode means you’ll probably have to punch in your passcode more often and it will complicate that (really convenient) Face ID thing, but having bad actors break into your phone is no fun either. FBI or not, better-encrypted protection is just an all-around good thing. We’ve asked Apple if it intends to include the feature in iOS 12's public release this fall, but did not receive an immediate reply. Ryan Duff, Director of Cyber Solutions at Point3 Security, told Motherboard he believes Apple is just getting a feel for what the best execution of the tool will be. “They definitely don’t want the scandal of removing a security feature because of something they didn’t anticipate,” he speculated.